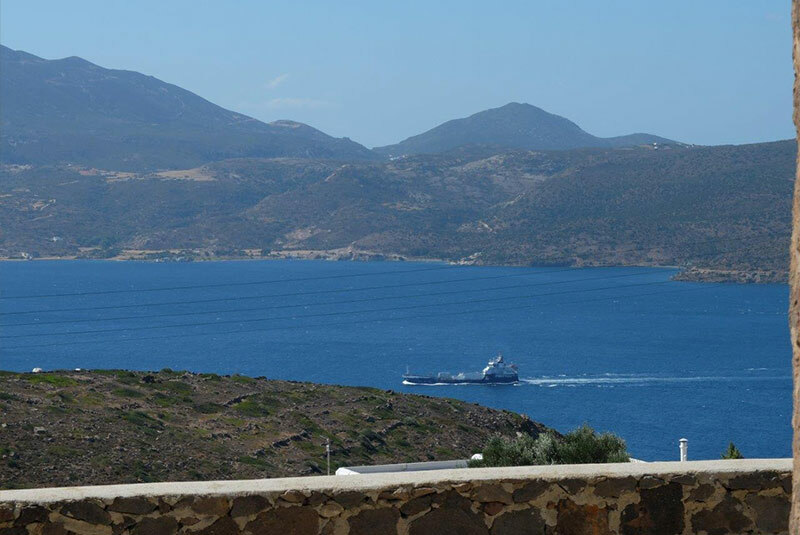 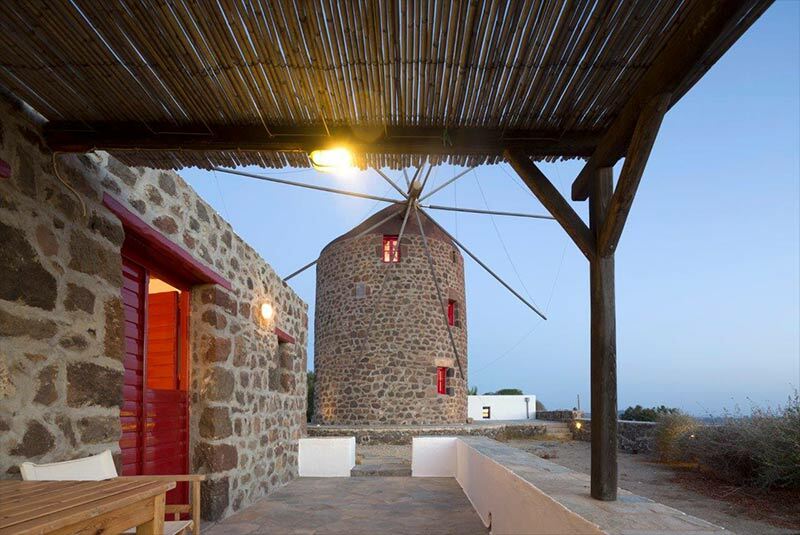 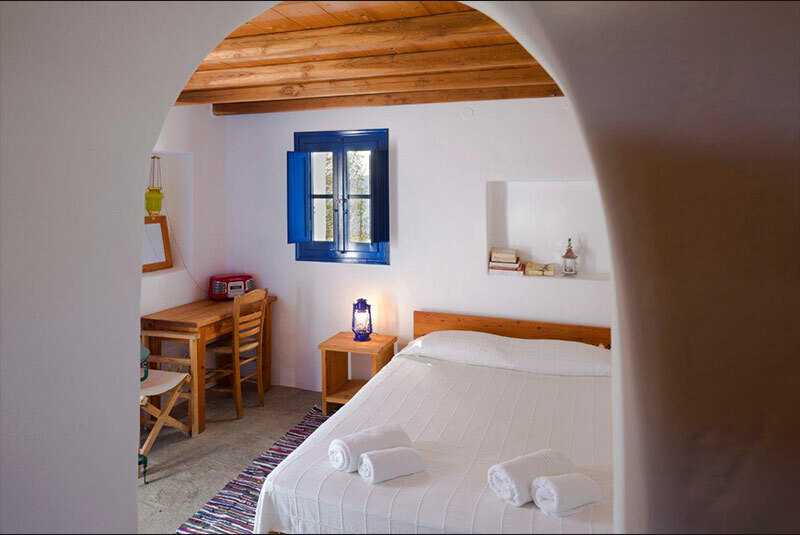 In Tripiti village, on the top of the hill, in an area of 1000m2, are situated a newly refurbished stone windmill and two small one-room houses: the White House and the Stone House, all with superb view of the Island. 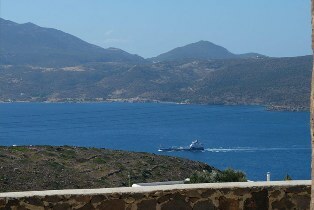 The most unique and selected lodging opportunity in Milos. 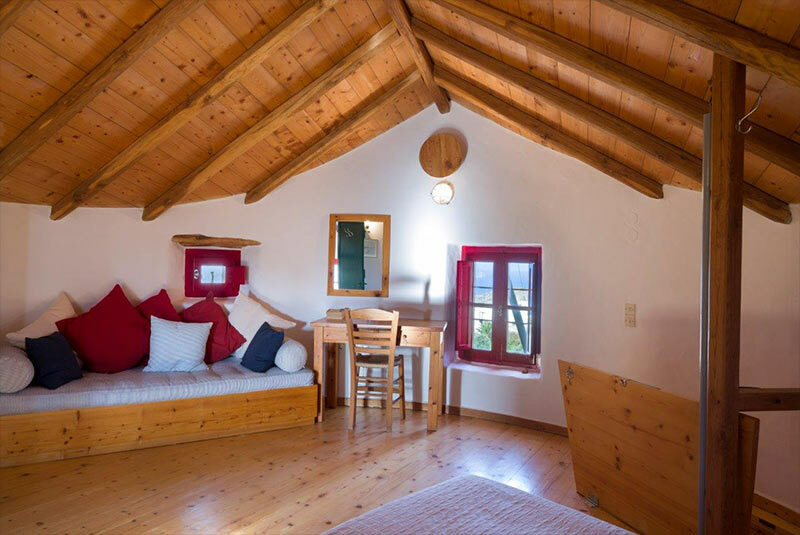 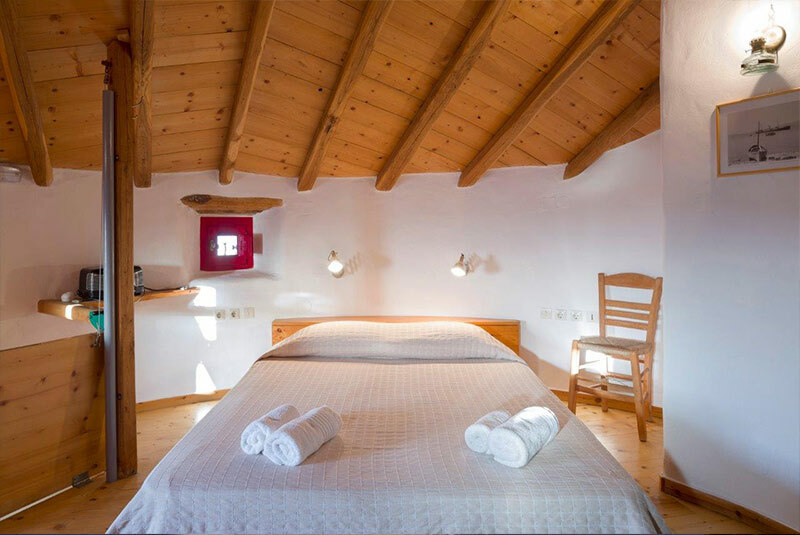 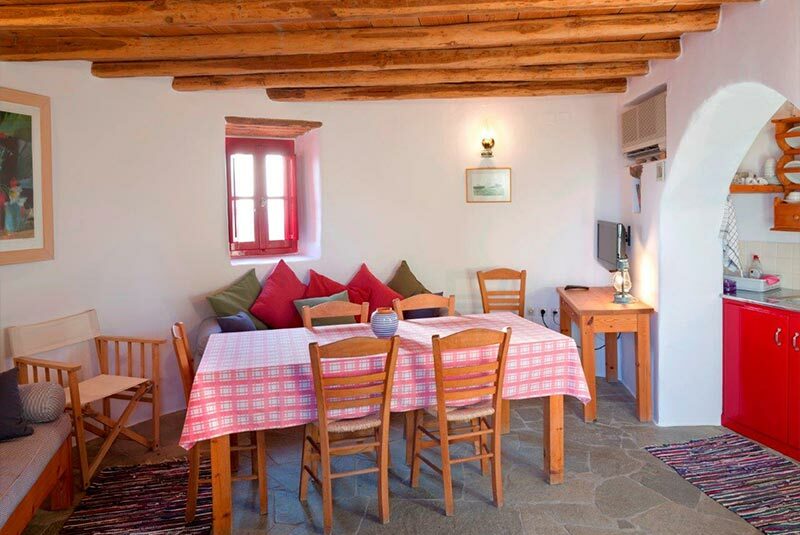 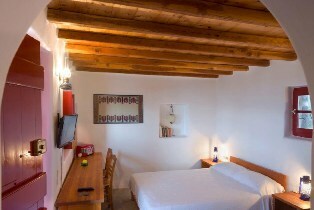 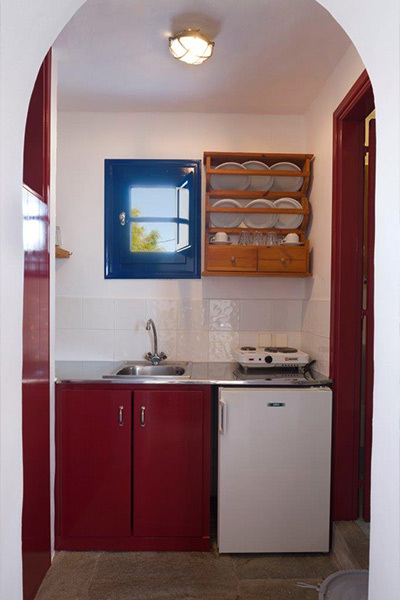 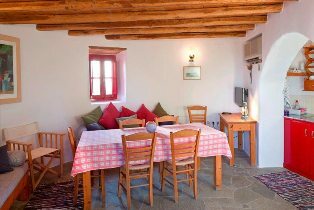 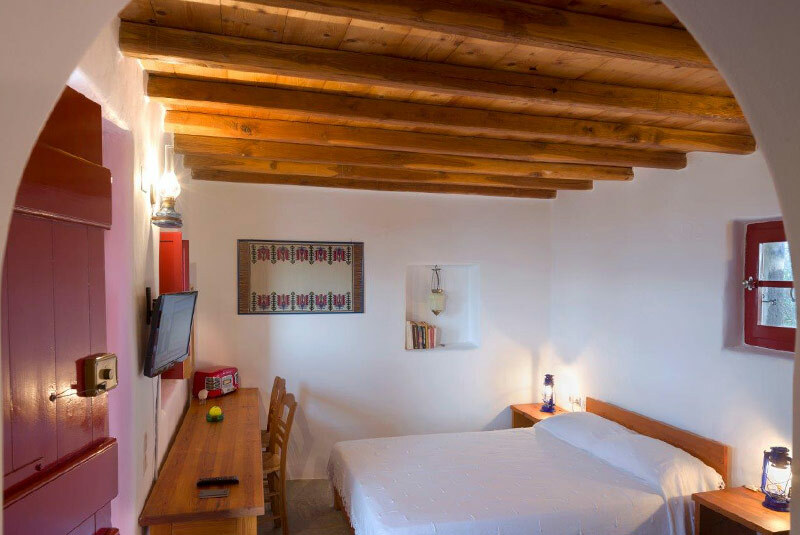 Windmill Marketos ground floor is used as a sitting room and kitchen and the two upper independent floors as bedrooms with their own bathrooms. 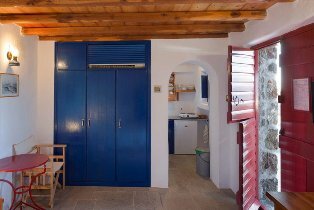 The houses and the windmill are equipped with air conditioning, TV, radio-CD, WIFI, cooking facilities, refrigerator and have a parking lot with individual yards. Daily cleaning. 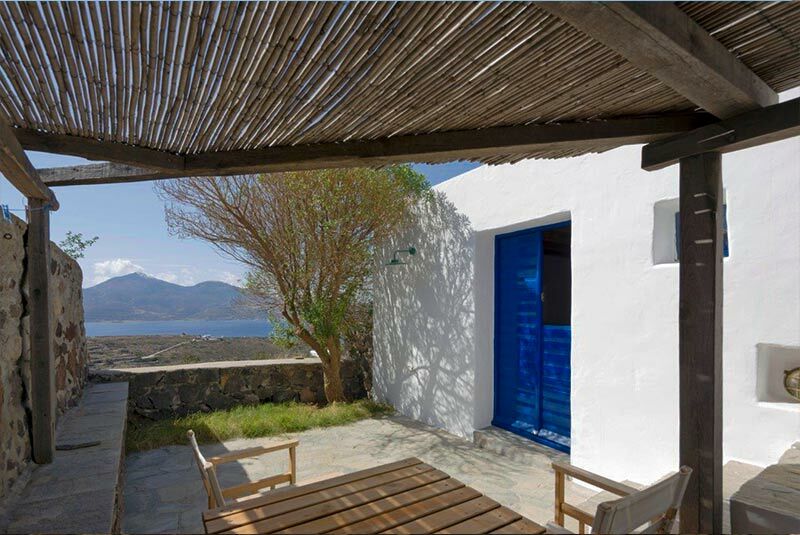 The outside terraces offer the view of the sunset and the entrance of the Gulf of Milos. Windmill Marketos are 5 minutes away from the surrounding villages in a silent area where tranquility reigns and one feels in peace with the world. 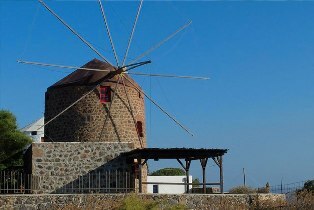 Windmill Marketos is appropriate for unique and unforgettable vacations.